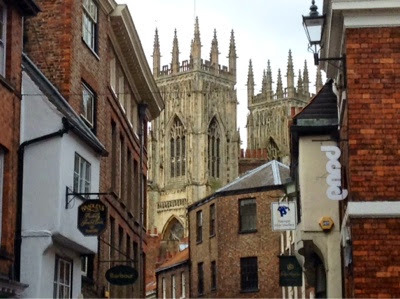 Jaynes stitching tales: The Minster, Hen party and Stash. The Minster, Hen party and Stash. Satuday was a cold day all the snow has gone, so we went to York shopping, as I was walking and looked up there was a great view of the Minster peeping out above the streets. 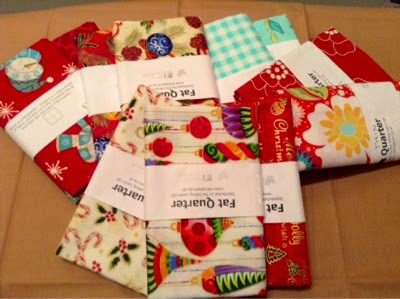 They had their Christmas fat quarters at a pound each so I just had to buy some. 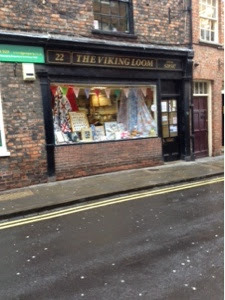 York is a popular place for Hen parties well we came across this group! She kept on tripping as it was a bit tight around her legs. Hen Parties, is that like a bachelorette parties they have in North America? Yes a hen party is the same as a bachelorette party. Hi Jayne, yes, it's me! I haven't forgotten about our swap. Could you please let me have your address since I'm almost ready for posting. That last pic is hilarious, btw! Desperate for a new start!